©2012 www.chasecustomhomes.com All rights reserved. "We Build Your Dream into Your Home"
the high quality of services we perform for our clients"
Chase Custom Homes and Renovations is a design/build contractor located in the Georgian Bay Area of Ontario. Bart Chase and his design trades team deliver custom homes and after project service (renovations). Quality features that exceed code and increase the performance of client homes have become standard issue. Chase clients receive premier choice in design, technology and interior and exterior finishes. We employ only the best local trades and craftspeople who are WSIB insured, have reputations for excellence in their fields and are managed on schedule. There are no sales people, no superintendents. Working with Chase Dream Homes is a personalized experience. 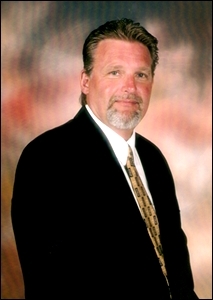 Chase Custom Homes was founded by President, Bart Chase, second generation home builder. Bart is a Director of The Simcoe County Canadian Home Builders Association and a member of Renomark. He has worked full time in the design, building, procurement and management of building construction for over twenty-five years. Chase Custom Homes have been featured in magazines such as On The Bay, Our Homes and North 89. © 2012 www.chasecustomhomes.com All rights reserved. Bart believes that “…the design and construction of a custom home is customer centered, that it should be pleasant, informative and its’ budgets and schedules are created for good reason."